There's no place like home - and there's nothing better than having your own beautifully decorated space. For inspiration on how to add charm and flair to an interior we chatted with Julia of Studio Home and Juniors Design about interior design, her own space and her favourite spots across Australasia. My home is a two bedroom apartment in central Auckland that I share with my flatmate Renee and a ridiculously large cat. It's compact but modern and works super well for me as it's also my office. I moved up from Wanaka a couple of years ago and arrived with bags of art and not much else. So initially I had good looking walls but no furniture. I'm happy to say that the furniture situation has improved drastically and we have somehow managed to integrate all our life clutter into the small space we have available. My current focus is plants and I'm obsessed and totally convinced that little pots with shiny succulents and dray creepers should fill every spare spot available. How would you describe your taste in interiors? As a former interior designer I have a pretty healthy and wide appreciation of all aesthetics but my personal taste involves a style that is eclectic, textural, layered and nostalgic. I like dusty greens and greys, navy, natural materials like wood and stone and never hold prejudice against anything that is a little beaten up or imperfect. Favourite home you've visited or would love to visit? It's difficult to pin-point my favourite but one style that sticks out to me is the festival of colour and pattern that Marlborough-based interior designer Alex Fulton and her family call home. 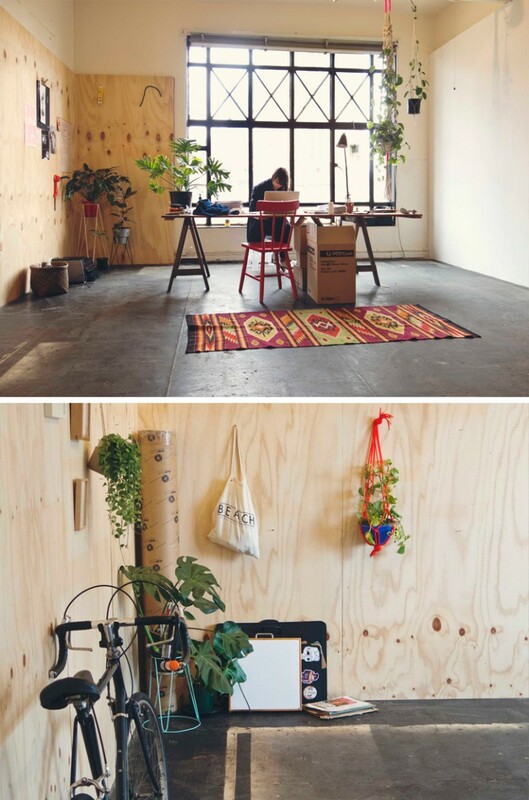 The former apartment and workspace of Kelly Thompson in Melbourne is also a favourite and is the ultimate in warehouse living and the inspiration for my plant obsession. 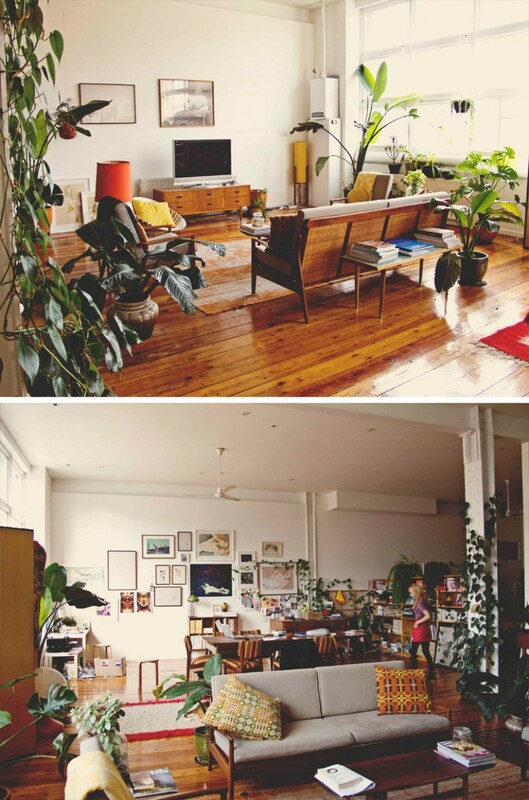 While prolific kiwi creative Kelly Thompson has actually moved on from this space; her open plan, warehouse home and studio is still one of the most beautiful I have ever visited! 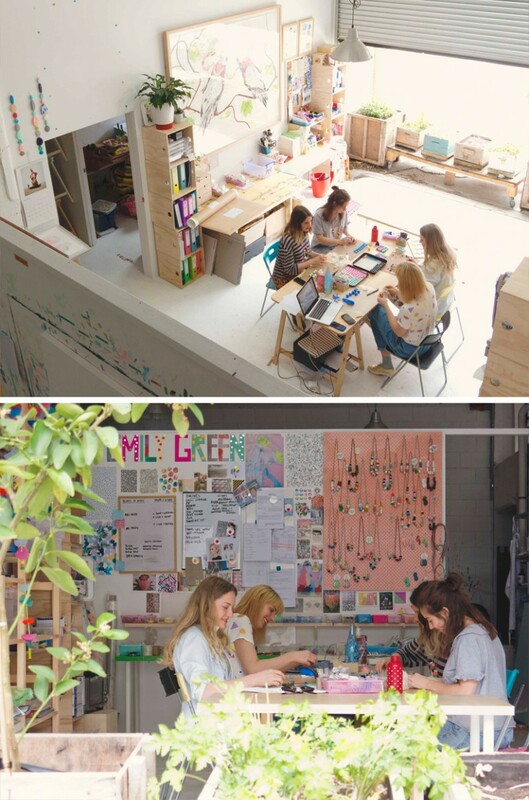 Emily works with her team in a huge industrial space that opens up to a little hidden lane in Melbourne. It was lofty, bright and super functional for any and all of her creative projects. Stanislava Pinchuk AKA Miso had just moved into her new studio in the historic Nicholas Building when I visited her late last year. I loved the ply walls plenty of greenery! 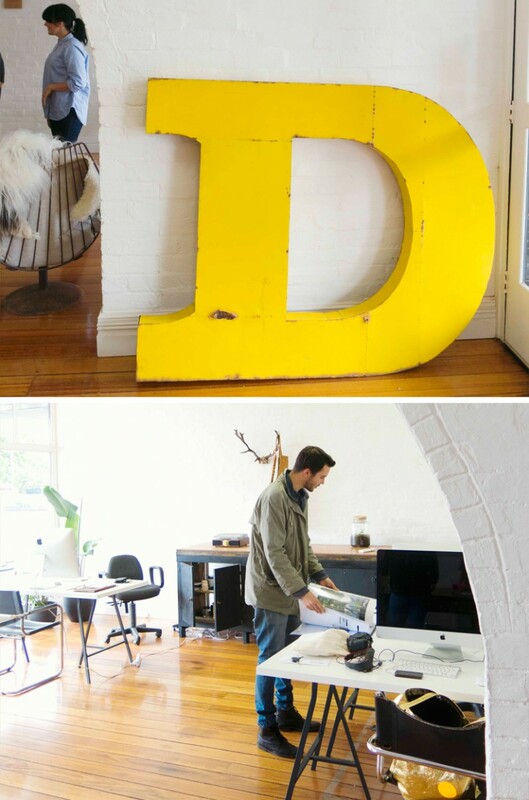 Goldie + Co is on the main street of small regional town; Kyneton near Melbourne. Home to a collective of local designers and photographers they have furniture mobile and easily packed away to make way for various events. The evening I visited; The Brainery Store were hosting singer; Lisa Mitchell. It was epic! 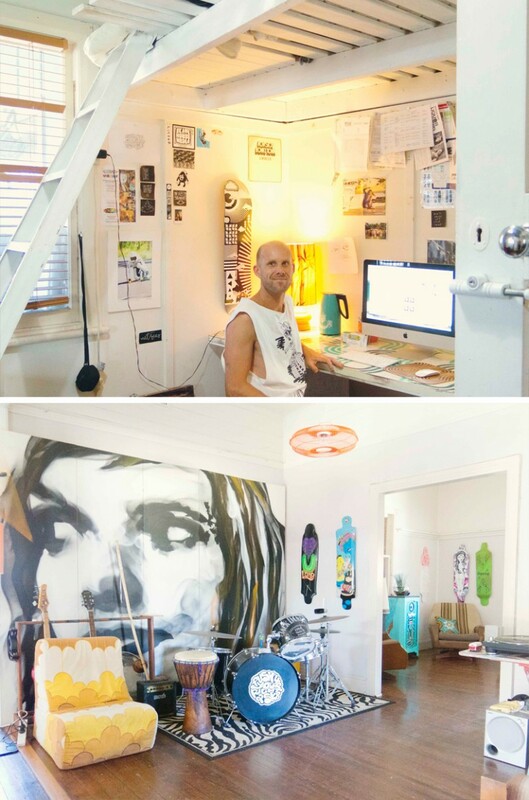 New Zealand creative Austin Moncrieff rents a large airy house in central Byron Bay which acts not only as a base for his business NITSUA but also regular exhibition! 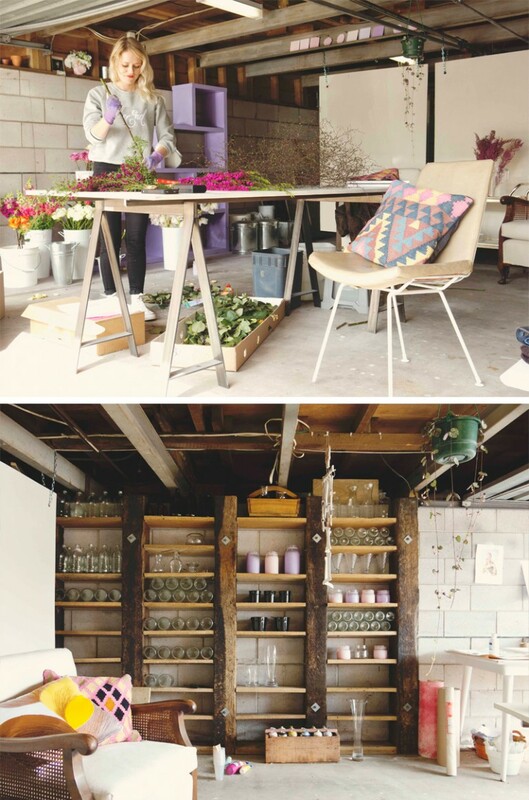 Flowers smell good and look pretty but the space needed to create beautiful work has to be hardy and bright - something Lucy Houghton recognised in her garage and now HQ! 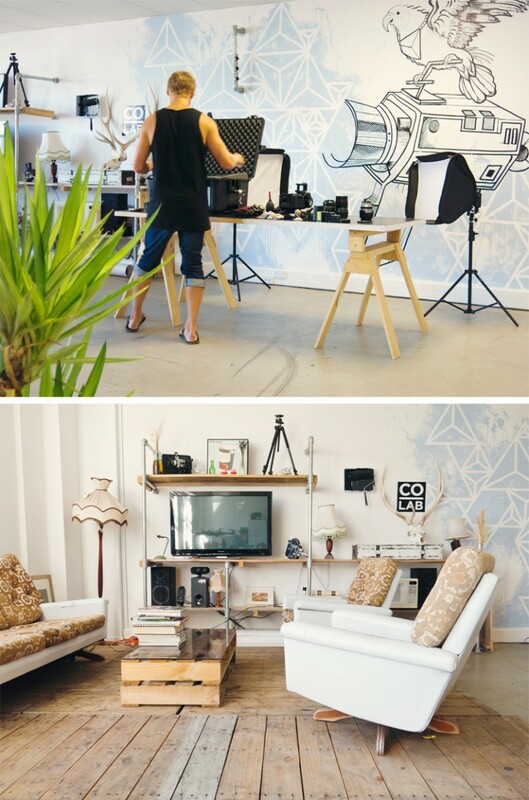 The shared workspace of COLAB Creative, Micimage Web Design and Photography plus many more local freelancers and business owners. Eclectic, functional and downright cool. 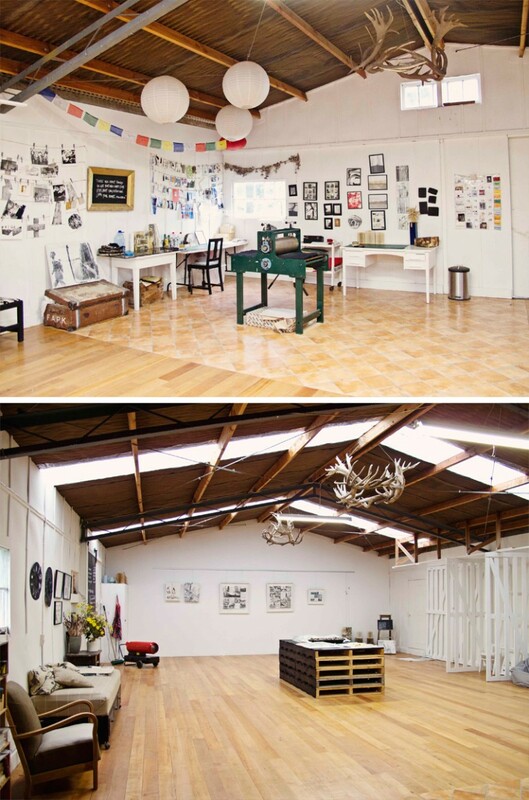 Printmaker Libby Baxter commandeered an abandoned wool shed on her husbands farm and has transformed it into an enormous studio space! 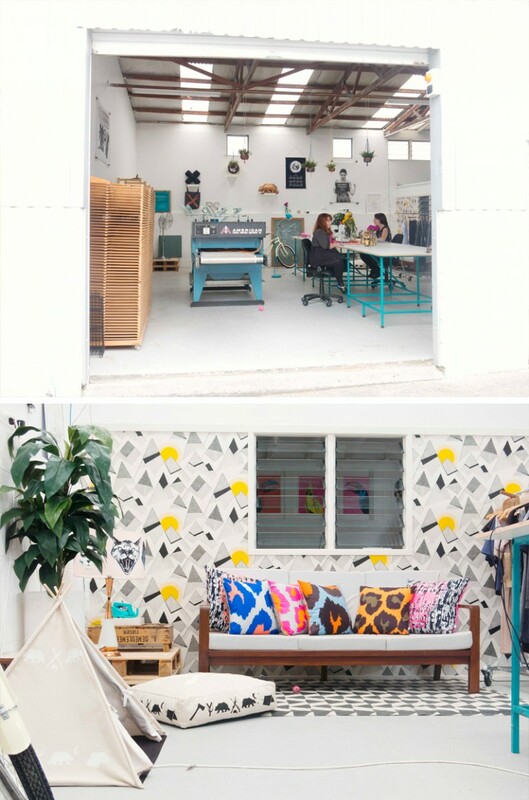 Crazy talented local creatives Evie Kemp and Amy Clarke found and freshened up a huge industrial space in West Auckland to use as their shared HQ and now host workshops! Photography by Julia Atkinson for Studio Home. 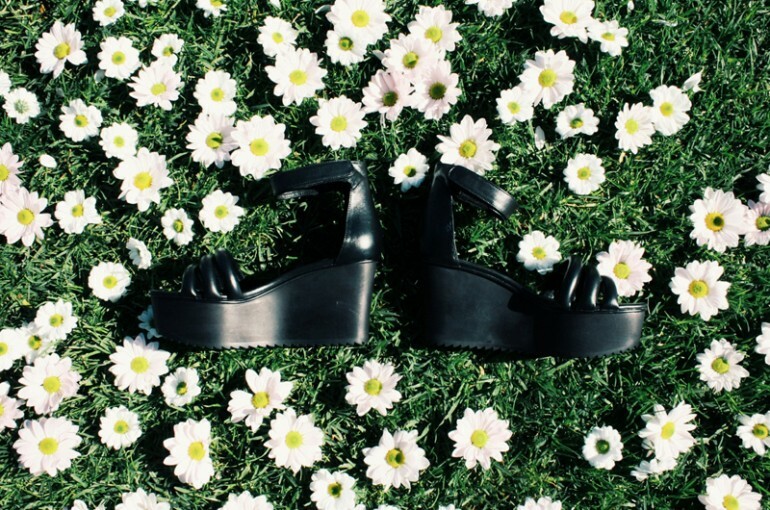 Our RUBY Ace Wedge has landed into all RUBY stores today. 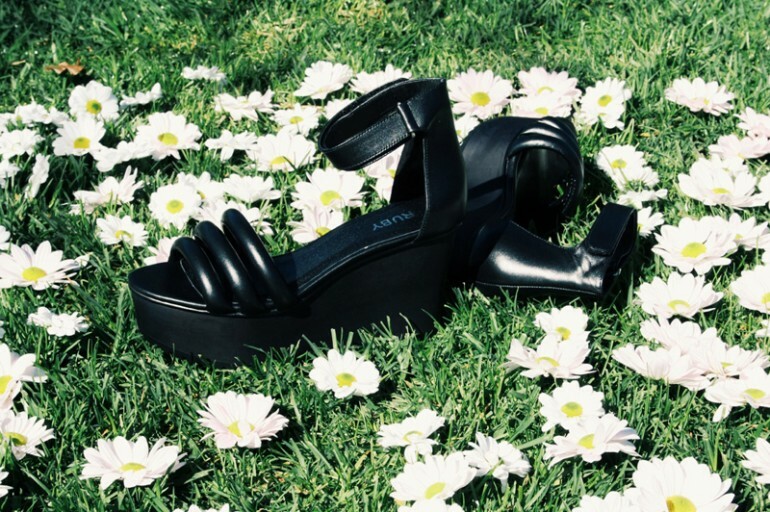 Hurry in and snap yourself up a pair - your feet will thank you!